During the past year, key government agencies, medical associations, policy makers, the media, and families have finally realized that we’re in the midst of the worst opioid addiction crisis in our nation’s history. Record numbers of people are overdosing and dying. We can’t read a newspaper or watch television without learning about the tragic effects of the epidemic on the addicted, their families, and their loved ones. Presidential candidates are debating the pros and cons of legalizing marijuana versus tightening restrictions on opioids, and the benefits of providing drug treatment versus imposing incarceration. Calls are growing for medication-assisted treatment (MAT) to play a critical role in the opioid crisis. In September, the American Society of Addiction Medicine (ASAM), with the support of top federal health officials, issued a report stressing the need for medications—methadone, buprenorphine, and naltrexone—in treating opioid use disorders, and the failure of many who treat patients to use these medications. President Obama issued a memorandum in October to federal agencies, setting a time frame for two specific actions: training specified health care workers on appropriate, evidence-based opioid prescribing practices; and submitting to the White House an action plan addressing barriers to MAT. The administration hopes to increase the number of doctors who can prescribe buprenorphine from 30,000 to 60,000 over the next three years. Many challenges and opportunities lie ahead for MAT. Mark Parrino, MPA, president of the American Association for the Treatment of Opioid Dependence (AATOD), recently co-authored a paper focusing on these issues. The article was published this summer in the Journal of Addictive Diseases. Among Mr. Parrino’s questions: Are office-based physicians who prescribe buprenorphine giving patients the comprehensive care needed to treat addiction? Are they providing counseling and drug testing? Another question: Why would it help to lift the patient cap if the vast majority of physicians who already have the waiver are not prescribing at anywhere near the patient limit, and some aren’t prescribing buprenorphine at all? Mr. Parrino and the federal government are trying to get the answer to this question. If limiting access to prescription opioids is the answer, as the federal government hopes, what happens when physicians will no longer write prescriptions for opioids, yet patients remain dependent on opioid painkillers? If patients aren’t being referred to treatment for an opioid use disorder, they’re just being sent out into the street to get whatever they can from a dealer, in order to avoid withdrawal. Increasingly, that’s heroin. Much in the current opioid crisis resonates with Mr. Parrino, and with anyone working in the field 40 years ago. Those who are younger—including many in public office—may have no memory of the heroin epidemic of the 1960s. “I have been struck by the lack of intergenerational knowledge of how opioid addiction was treated as a public health issue more than 40 years ago,” said Mr. Parrino, adding that this is one of the main reasons he wrote the article. The effectiveness of opioid treatment programs (OTPs) is demonstrated by a history of more than 50 years of evidence-based treatment, said Mr. Parrino. But OTPs are not being highlighted today by the federal and state governments as a solution to the opioid crisis. Mr. Parrino noted that without oversight, expanding treatment can be harmful to the treatment system itself. This is what happened when OTPs expanded in response to hepatitis, then to HIV. 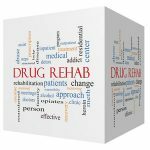 “It is remarkable that policymakers are making the same kinds of decisions that were being made 50 years ago, during the more-urban heroin crisis,” said Mr. Parrino, referring to discussions about expanding office-based opioid treatment (OBOT) (buprenorphine treatment of opioid addiction in an office-based setting). Back then, the system of care expanded readily, with OTPs undergoing little organization or training of staff. The first compendium of comprehensive treatment guidelines for OTPs wasn’t published until SAMHSA did so, in 1993. “Today, many take the view that increasing access to medication will be the best way to deal with the current public health crisis,” said Mr. Parrino. But consider what happened to OTPs. In March of 1990, the U.S. Government Accountability Office published “Methadone Maintenance: Some Treatment Programs are Not Effective; Greater Federal Oversight Needed.” Even in New York City, which is today one of the only places in the country where OTP access is available without a waiting list, there was a backlash against methadone in the 1990s, said Mr. Parrino. What OTPs have to offer is comprehensive care: not just medication, but counseling, drug testing, and helping the individual to better health and well being. Treating the opioid epidemic will take more than restricting access to prescription opioids, rescuing overdose victims with naloxone, and expanding access to buprenorphine, said Mr. Parrino. It will take comprehensive treatment. Parrino MW, Maremmani AG, Samuels PN, Maremmani I. Challenges and opportunities for the use of medications to treat opioid addiction in the United States and other nations of the world. J Addict Dis. 2015;34(2-3):255-62. doi: 10.1080/10550887.2015.1059113. Cicero TJ, Ellis MS, Surratt HL, Kurtz SP. The changing face of heroin use in the United States: a retrospective analysis of the past 50 years [published online May 28, 2014]. JAMA Psychiatry. PMID: 24871348. doi:10.1001/jamapsychiatry.2014.366.